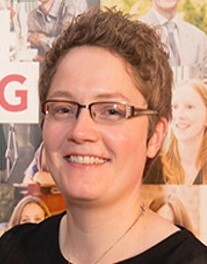 Dr Ruth Hunter, Queen’s University Belfast. Social networks (e.g. our friends, family, colleagues) have significant impact on our health and behaviours. However, we know little about how these networks can be utilised to influence health behaviours. The presentation will provide an overview of a programme of work investigating the use of social networks for health behaviour change. Dr Hunter’s research interests are in the development and evaluation of complex public health interventions for behaviour change at the community and population level. Her research involves investigating the role of social networks, and the built and social environment for population level behaviour change. Most recently she was awarded a NIHR Career Development Fellowship to investigate the role of social network interventions for behaviour change involving collaborations with the University of Southern California, Harvard University, Yale University and the University of Cambridge.